Dermatology Practices and many more! Instant reduction of overall billing cost by 70%... guaranteed! Turnaround time less than 48 hours max. We do it all, right from gathering of procedural information, contacting the physician office for necessary information, connecting with the insurance companies and updating the auth outcome in the PM/ billing system. Our team is versatile across all major EMR/ practice management systems. We are ready to work as a reliable extension of your existing operations. 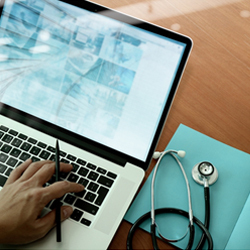 Our superior support in prior authorization services will implement the right checks and balances for an improved revenue cycle management experience. We provide our stand alone prior authorization services for as low as $7 per hour. Our simple processes, expert team of prior authorization reduces your practice management worries with 100% accuracy. Sunknowledge Services ensures 99% submission of PA requests on the same itself. At present, Sun Knowledge processes almost 50,000 prior authorizations on a daily basis making us your desired vendor to handle any amount of PA volume. Leverage from our powerful action plan in prior authorization while you focus better on your care management efforts!